View More In Concealers & Neutralizers. The light texture evens the complexion and hides tiny imperfections. 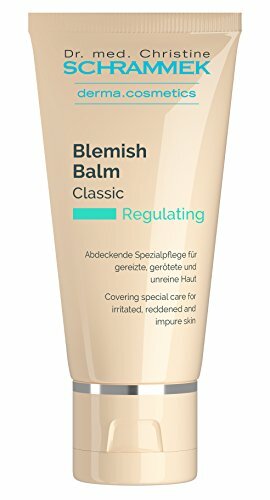 Panthenol and bisabolol calm and smooth irritated skin. Redness and impurities disappear more quickly while they are perfectly concealed by the natural skin shades. Has a gentle matting effect and diminishes the "shine" of oily skin. Excellent for all skin types. Comes in 3 shades. Also suitable as a make-up base. If you have any questions about this product by Schrammek, contact us by completing and submitting the form below. If you are looking for a specif part number, please include it with your message.